Many Star Wars fans found themselves deeply unsatisfied with the way that Rian Johnson handled The Last Jedi and much of their problems stemmed from the portrayal of Luke Skywalker. 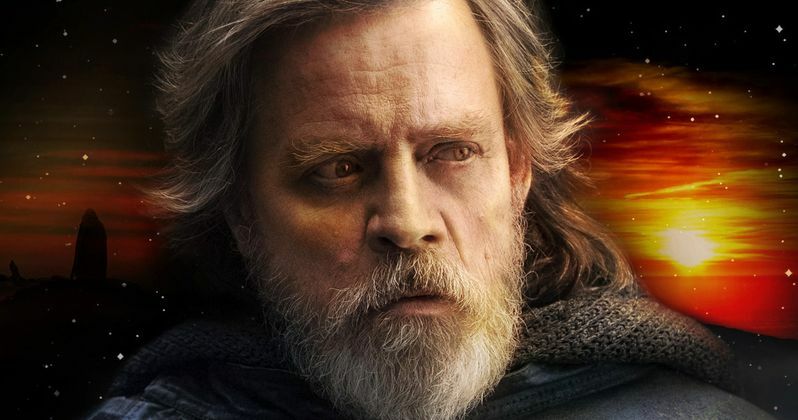 Even Mark Hamill admitted that he was initially surprised with what Johnson had in mind for the character and said that he didn't agree at first until the project began to move along. However, fans have not gotten used to Luke's motives in the movie, especially concerning a certain scene with a young Kylo Ren. But a new fan theory from Reddit has put things into perspective, citing the original trilogy as evidence. There are SPOILERS for The Last Jedi ahead, so read at your own risk. In The Last Jedi, there are three versions of the scene involving a young Kylo Ren and Luke Skywalker with a bad beard dye job, including what Luke first tells Rey, what Kylo Ren tells Rey, and finally the full truth from Luke. Fans were stunned to learn that Luke Skywalker would consider killing his own flesh and blood, leading to outrage from Star Wars fans all around the world. But as it turns out, Luke was following his instincts, which is something that the character has done since A New Hope, for better or for worse. Reddit user TLM86 recently took apart the scene in question and put it into terms that any Star Wars fan can digest and easily understand. Luke is trusting his instincts to kill Ben Solo as he can see that the Dark Side has already taken over and he sees that there will be trouble down the line if he doesn't act at the moment. In order to understand Luke's weird behavior, Reddit user TLM86 goes back to the original trilogy. He had this to say. "Initially (Luke) he's all for killing Vader to avenge his aunt and uncle, Obi-Wan, and his father. When Vader reveals he's Luke's father, it allows him to look beyond the "monster in a mask" and see the human underneath. Even Obi-Wan and Yoda urged him to face and strike Vader down in order to become a Jedi Knight, but Luke's instincts told him different." Luke's ability to trust his instincts still carries over into that The Last Jedi scene, as he realizes that Ben Solo has been corrupted by the darkness. Even with the ramifications of killing his nephew, Luke's instincts still tell him that it would ultimately be for the greater good to strike his nephew down. The Redditor then goes back to Luke's trip to Bespin in The Empire Strikes Back as another example. He explains. "Luke's trusted instincts are telling him to strike Ben down for the good of the future, in the same way his damaging trip to Bespin was ultimately a good thing, and to ignore the advice of his Jedi Masters and reach out to Vader was a good thing. Luke, of course, realizes his mistake; that his instincts have been clouded, but by then it's too late." As fan theories go, this is up there with the best of them and is more than likely what was going through Rian Johnson's head when he was writing the movie, with the previous installments on loop. Luke Skywalker isn't too complicated of a character, but he has his traits and Rian Johnson reached deep and used them well. Luke went through a lot after the events of Return of the Jedi and more of what happened will ultimately end up being told at some point down the line. Until then, this is some great evidence to back up Rian Johnson's decision to take a darker turn with Luke Skywalker. You can read more about the fan theory and subsequent discussion via Reddit.